You can now change the email address used as your Apple ID from third party emails to an @icloud email address, if you so desire. 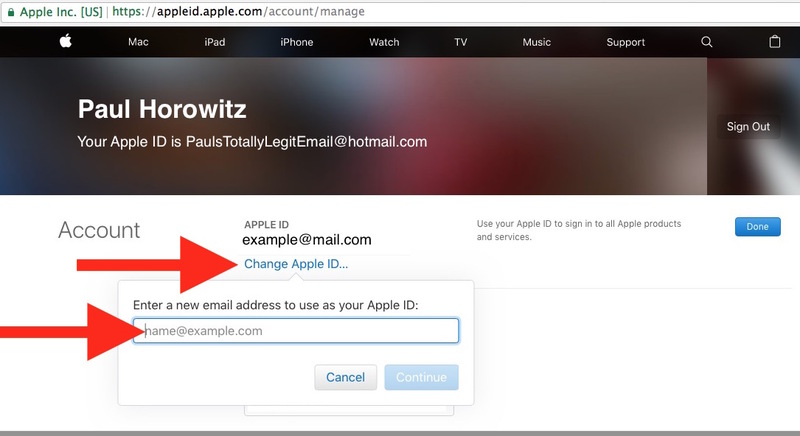 This means if your current Apple ID email login is something like “BloatedPetriDish99@hotmail.com” you can change it to an Apple domain like @icloud.com. Note this is completely different from changing the Apple ID used on an iOS device, because the intention here is keeping the same account data but simply changing the login email, rather than using a completely different and unique account. It should be noted that if you’re using two-factor authentication, you need to turn that off BEFORE signing out of all your devices or you won’t be able to use one or another to validate against the others. Nice to know it’s possible but what are the benefits? Why changing if there’s no added value? Maybe I’m missing something. Mark: not true, you can use your iCloud account. I got it working. Took a few tries but did work. I believe Mark is correct. My Apple ID, which I use as my main email address (@icloud.com), contained my married name. When I changed my name to my maiden name, I wanted to change the email address to match my maiden name. But you can’t change an icloud.com Apple ID so I had to create an alias. I use the alias for all email but to sign into *anything* that requires my Apple ID, I still have to use the version with my married name. 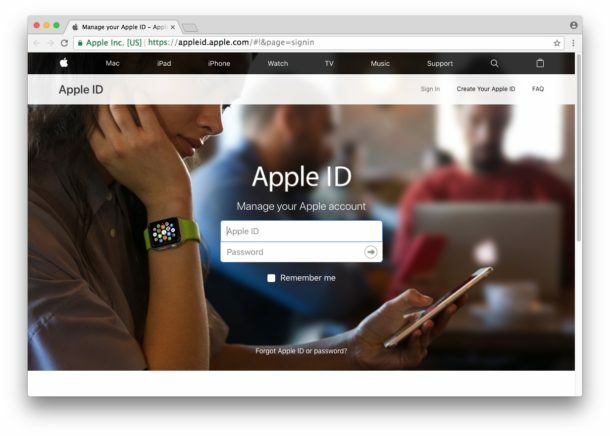 An alias is not accepted when logging in with your Apple ID. I wish Apple would revise this whole policy. Years ago I unknowingly created a second Apple ID. Once I realized what I’d done, I wanted to combine them into one but that’s not possible. So I’m stuck w/2 Apple IDs and always need to remember which one I’m using for what. I have got such a new one from iCloud and it was working for a time. But since Windows has got all e–Mailbox together, it cannot working. Thank you very much for helping us ! Such a wonderful change. I waited years to finally be able to use my Apple email for my Apple account without having to retain a third-party account. Pretty ridiculous it took this long. My 1st AppleID was for iTunes (@hotmail.com) and when I got iPhones and Macs, I continued using that to purchase apps. I then got a MobileMe account (@me.com). When iCloud launched, the @me.com account became my iCloud login, but I still used @hotmail for App Store and iTunes purchases. I have made a handful of purchases with the @me.com login, so I switch between iTunes\App Store logins from time to time. The Apple Store app uses iTunes login, but I generally make appointments and purchases\pickups using my iCloud account, so geo-fencing doesn’t work properly unless I remember to switch iTunes logins before arriving. All this to say, it remains a hot mess. I assume if I were able to use my iCloud credentials to login to my iTunes account, I would be creating an even bigger mess as the credits and purchases on the two AppleID would presumably not combine. I get it that Apple is reluctant to allow purchase and credit transfers, but it would be nice to be able to do so once, to an iCloud account only to allow me to simplify my life. That, or allow me to login to two iTunes accounts simultaneously, provided one is iCloud. Thank you for this. Maybe I can finally dump an old email address I’ve kept active for years that I no longer use. I just completed this. One thing I’d like to point out. I did not log out of all my devices and they were automatically updated with no problem. Did not have to log out and log back in. Is this just for US users? I have tried this (as I have in years past) but still get “you cannot use @me.com address as your Apple ID. Tried on my Mac, iPad and iPhone and it doesn’t work. Even tried @iCloud.com still no go. Whats up with this site? I just wasted hours logging out of all my devices and attempting this multiple times. An answer would be nice too. My email AND Facebook are locked down at the moment. My understanding of the Apple ID is far from clear. This is all that is lacking for a finished profile with iCloud. But on the other hand I am concerned with my iPad. Does the iPad have to be a part of all this shuffling around or does iCloud take care of the iPad. Should the iPad be turned on or off. WOW I am frustrated and this page seems to have knowledgeable instructions so here’s where I am at. Originally created App ID -AID- with full name including underscores @hotmail so it’s obnoxiously long and annoying if not saved to have to type it in. I created an easy @icloud. I only use one device, my IP 8. I logged out of hotmail AID and into ICloud and merged when given option. Didn’t pay attention to what wasn’t Xferd in merger SO— Under AID1 (Hotmail my original) I can’t add my ICloud as an “also reachable at contact” it tells me the email isn’t valid. I’ve been trying this off and on for weeks so no typos etc. I try deleting AID1 and it tells me I must have the AID2 (ICloud) already registered as alias or whatever before I can replace Hotmail for ICloud. I’ve tried 3 new ICloud addresses I created so not isolated to just 1 email. I’m not too attached to old AID for any reason, I just don’t want to lose anything on the cloud or anywhere really. ANY ADVICE FOR REPLACING HOTMAIL WITH ICLOUD? I followed your steps too, same thing i was doing but I step by stepped to be sure- same error. The only way I’ve gotten past is by typing in non-existant email which it attempts sending Ver. Code to, but if I exit screen requesting code input (to try and quickly create said email and retrieve code in theory) then it restarts whole process. So I understand the issue is it is wanting me to create a new email, but I’m lost as for the reasoning and basically lost on this whole thing. I’m about to say Fk it, just start using iCloud ID and hope I don’t lose anything. sorry for long message I’m burnt out on this. Not sure if anyone had same issue and thanks in advance for any help! !